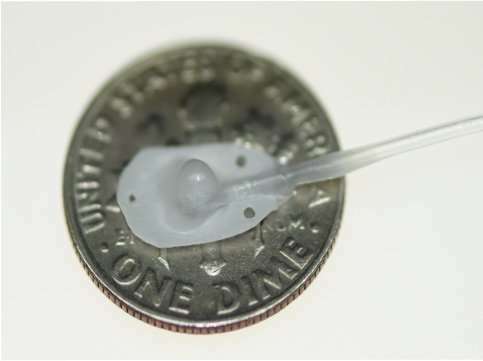 Therepi's reservoir, which would attach directly to the damaged heart tissue, is placed on a dime for size reference and connected to a self-sealing subcutaneous port. Credit: Nature Biomedical Engineering, Whyte et al. A team of researchers is hoping to halt the progression from heart attack to heart failure with a small device called 'Therepi.' 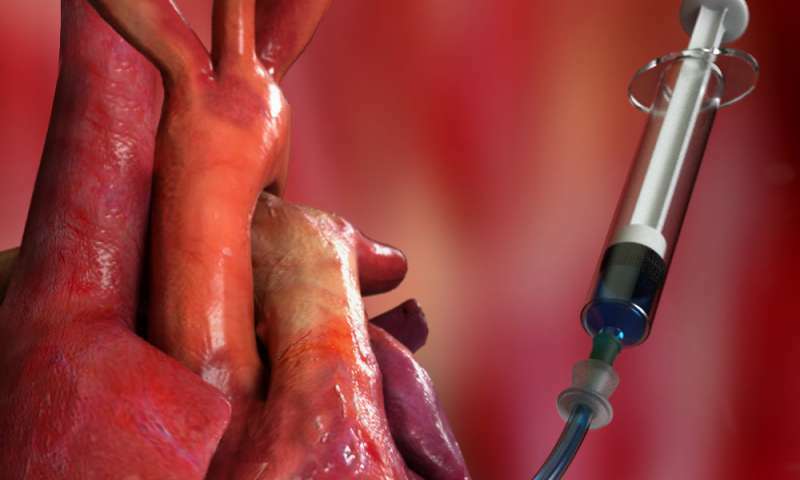 The device contains a reservoir that attaches directly to the damaged heart tissue. A refill line connects the reservoir to a port on or under the patient's skin where therapies can be injected either by the patient or a healthcare professional. A new study published in Nature Biomedical Engineering involving a team of researchers from MIT, Harvard University, Royal College of Surgeons in Ireland, Trinity College Dublin, Advanced Materials and BioEngineering Research (AMBER) Centre, and National University of Ireland Galway details how Therepi can be used to restore cardiac function. "After a heart attack we could use this device to deliver therapy to prevent a patient from getting heart failure," explains Ellen Roche, co-first author of the study and assistant professor at MIT's Department of Mechanical Engineering and MIT's Institute for Medical Engineering and Science. "If the patient already has some degree of heart failure, we can use the device to attenuate the progression." "From a pharmacological point-of-view, it's a big problem that you're injecting something that doesn't stay at the damaged tissue long enough to make a difference," says William Whyte, co-first author and Ph.D. candidate at Trinity College Dublin and AMBER. The reservoir itself holds amazing potential for drug delivery. Constructed out of a gelatin-based polymer, the reservoir has a half-spherical shape with a flat bottom attached to the diseased tissue. The flat bottom consists of a semi-permeable membrane that can be adjusted to allow more drugs or larger materials to pass directly into the heart tissue. "The material we used to construct the reservoir was crucial. We needed it to act like a sponge so it could retain the therapy exactly where you need it," adds Whyte. "That is difficult to accomplish since the heart is constantly squeezing and moving." The reservoir provides a unique opportunity for administering stem cell therapies. It acts as a cell factory. Rather than pass through the membrane into the heart, the cells stay within the reservoir where they produce paracrine factors that promote healing in the damaged heart tissue. In a rat model, the device was shown to be effective in improving cardiac function after a heart attack. The researchers administered multiple doses of cells to a damaged heart throughout a four-week period. They then analyzed the hemodynamic changes in the tissue using a pressure volume catheter and used echocardiography to compare functional changes over time. "We saw that the groups that had our device had recovered some heart function," explains Claudia Varela, a Ph.D. student in the Harvard-MIT Division of Health Sciences and Technology. The hearts that received multiple dosages of cells via therapy had more cardiac function than those who received only a single injection or no treatment at all. Therepi's capabilities go beyond treating heart disease. Since it provides the opportunity for multiple, localized doses to be delivered, it could be used as a tool to identify the exact dosage appropriate for a host of conditions. "We are hoping to use the device itself as a research tool to learn more about the optimal drug loading regime," says Roche. For the first time, researchers could have an opportunity to track multiple refills of localized therapies over time to help identify the best dosing intervals and dose amount. "As a pharmacist by training, I'm really excited to start investigating what the best dose is, when is the best time to deliver after a heart attack, and how many doses are needed to achieve the desired therapeutic effect," adds Whyte. 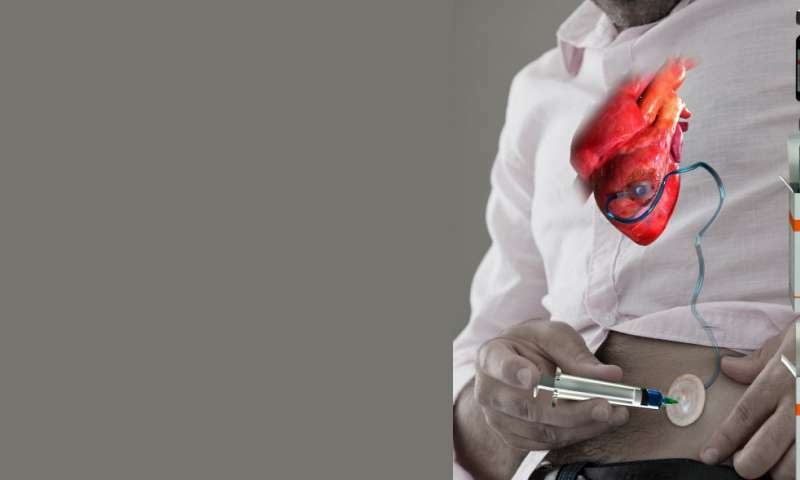 While the team has been focusing on how Therepi can mitigate the effects of heart disease, the device could be used in other parts of the body. 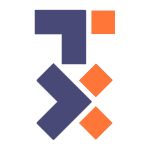 By optimizing the design and adjusting the materials used to construct the reservoir, Therepi could be used for a wide range of diseases and health problems. "The device is really a platform that can be tailored to different organ systems and different conditions," says Varela. "It's just a great example of how intersectional research looking at both devices and biological therapies can help us come up with new ways to treat disease."